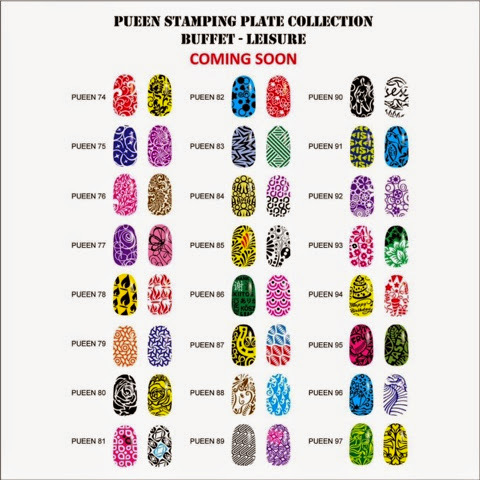 Lacquer Lockdown: Hot Off The Stamping Press: Pueen Buffet Leisure Collection! 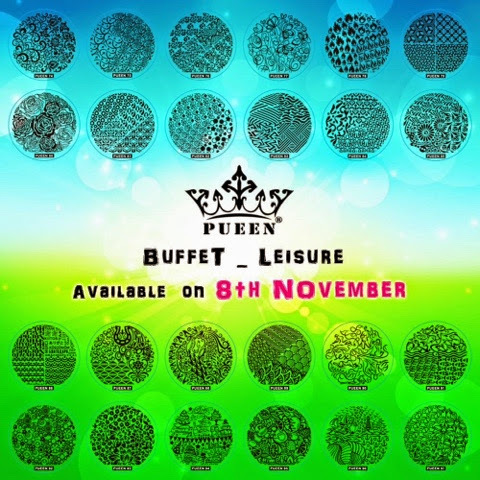 Hot Off The Stamping Press: Pueen Buffet Leisure Collection! Here are a few of the designs stamped out across nails. I actually like it when companies do this be it gives you a good idea of what kind of nail art you can create. And few more while we are at it! Have to wait for bigger images to be able to say anything. They were up on the 8th as well! Did you get them? Yeah I agree I dislike when they post just the mockups on the nails because it's a bit hard to tell what they are releasing but I love the pueen plates so I think they will be fabulous no matter what.